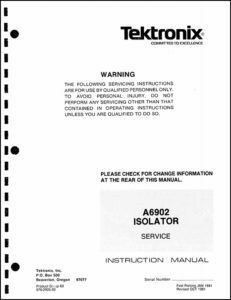 The vintageTEK museum has a large collection of printed instrument Instruction and Service manuals. We keep an archive for the museum and sell excess manuals on our eBay store. Please check our eBay store for your manual needs. Proceeds help support operation of the museum. The museum also has an extensive microfiche archive of Instruction and Service manuals. We estimate the number of microfiche pages, including duplicates, at over 3.9 million. Our fund raiser for a microfiche scanner was successful and we can now scan microfiche to PDF documents. Due to the size of the archives we will not be proactively scanning either microfiche or printed Instruction and Service manuals but will respond to requests. Scanning microfiche or printed manuals is a time consuming task for our volunteers. Each microfiche page has to be manually positioned, cropped, and scanned. Each printed foldout manual page has to be manually positioned and scanned. 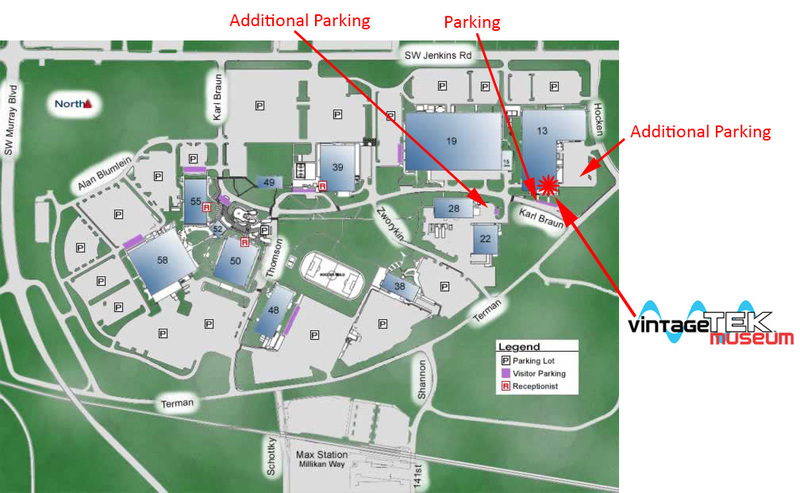 Once scanned, we will provide the PDF file and also send it to tekwiki.org for availability to the broader community. We charge a research and scanning fee of $25 per hour. 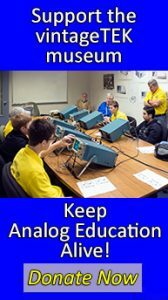 Your payment helps support the vintageTEK museum and the larger community of Tektronix collectors and restorers. Small and medium microfiche manuals can typically be scanned in just an hour (a 148 page Service manual took about an hour to scan). Click on the image below to view a sample of a microfiche scanned PDF manual. We have completed an index of our microfiche. 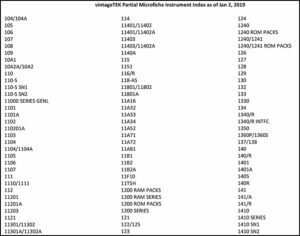 The index only tells us what instruments are in the microfiche but not what specific information is included until we research it further. Click on the image to view the PDF index.